CORALIS is located at 530 JOO CHIAT ROAD in district 15 (Katong, Siglap, Tanjong Rhu) of Singapore. CORALIS is a Freehold Condo development consisting of 127 units. CORALIS is completed / TOP in 2013 (estimated), developed by GROVEHILL PTE LTD.
Educational institutions like CHATSWORTH INTERNATIONAL SCHOOL (EAST), CANADIAN INTERNATIONAL SCHOOL (TANJONG KATONG), ETONHOUSE INTERNATIONAL SCHOOL, CHIJ (KATONG) PRIMARY, TANJONG KATONG PRIMARY SCHOOL and TAO NAN SCHOOL are near to CORALIS. 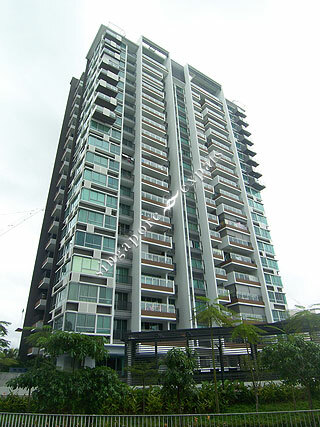 CORALIS is accessible via nearby EUNOS, DAKOTA and KEMBANGAN MRT Stations. Crap management. Security paranoid about people illegally parking on premises to shop next door. Unfortunately rude to legitimate visitors and residents. Coralis is ideal for family with children. Coralis is located next to Katong 112 shopping mall and many amenities nearby. Not only this, it is also surrounded by conservation shop-houses. You have many many choices. This is a choice location for expatriates and people who love the charm of Marine Parade, East Coast and Joo Chiat area.